Companies want great employees and employees want great jobs. But what does a “great job” look like? Employees are redefining the concept. Only 23% of employees report having a “good job” and 4% have a “great job,” leaving more than two-thirds of the population both dissatisfied and disengaged at work. Purpose-oriented employees are the exception; 73% of purpose-oriented employees report job satisfaction. Good for them, and good for you. While satisfied employees achieve a productive output of 100%, engaged employees achieve 144%, and inspired employees over-achieve with a productivity rate of 225%. My experience suggests that, over time, companies can foster a purpose orientation among most employees, and inspire through strategic purpose programs. That’s why I have long counseled companies to go beyond traditional forms of employee engagement and instead to lead with purpose to drive both business and social impact. 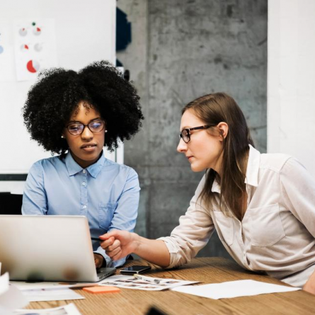 In 2019, the emphasis will shift to employee experience. Gallup defines this as “the entire journey an employee takes with your organization.” To me, that feels a touch transactional. We believe that a true employee experience fulfills the employee through purpose at every point along the journey. Employers are the most trusted institution globally; 75% of people trust their employer to do what is right. That trust is built through the organization’s focus on its values and social impact and meeting employee expectations. That experience translates externally, too; 78% of people say that how an employer treats its employees is the best indication of overall trustworthiness. What does this mean for employers? According to Edelman, CEOs should take the lead on societal change (desired by 76% of respondents), empower employees to “own” their employment experience, and communicate about their positive community impact. 2. Build a growth culture. Culture is corporate currency. I’m talking not about snacks and ping-pong, but a culture that is co-created by employees and optimized for professional growth. This plays an outsized role in attracting and retaining talent. Among millennial employees, 93% view ongoing skills and development as important to their career. Creating a growth culture involves modeling both mindsets and skill sets, encouraging people to take risks and showing how to learn from wins and losses. It means investing in mentor/mentee relationships, opening communication channels between employees and senior leadership, equipping employees with tools and opportunities to build their skills and providing pathways for employee development. 3. Connect personal and professional purpose. Employee experience connects job function to an organization’s purpose. Meaningful work is the No. 1 reason employees stay at their job. Employees have a better work experience when they understand the value of their work in advancing their company’s purpose. REI, for example, provides employees with paid “YAY” days to spend outside. As an outdoors retailer and environmental steward, REI’s purpose is to help people spend time outside, so it makes sense they’d do the same for employees. 4. Champion culture from the C-suite. Talking holds little weight with employees. Leaders must act in ways that reflect an authentic commitment to purpose as a core business strategy. In fact, 79% of business leaders think purpose is central to business success, but only 34% use their organization’s purpose to guide corporate strategy. The takeaway: Engage employees in co-creating their experience. Employee experience matters, and listening is key to a winning employee experience. There’s a growing gap between what employees value and what companies offer: 67% of employees view reimbursement for wellness expenses as valuable, but only 27% of employers offer the perk. Investing in programs that employees value can deliver tangible business results. It’s one thing to offer employees what you think they want. It’s another to actually ask. A survey of more than 3,500 U.S., U.K. and Canadian employees found that only 12% were regularly asked what constitutes a great workplace experience. That’s a huge miss given that 78% of employees say a positive work experience has a significant impact on productivity. A positive experience turns employees into advocates. That’s critical since employees are a differentiator and culture may be the only thing your competition can’t copy.